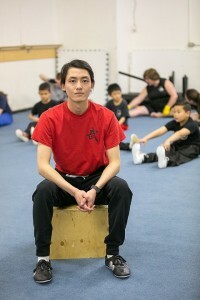 Jon Mak was born and raised in Saskatoon and has been with the Chinese Martial Arts Academy for 16 years. As a coach, Jon takes pride in his students’ push to become better athletes. As a competitive athlete, Jon has excelled in many provincial competitions and put forward an outstanding effort at the 2015 Wushu Canada Senior Team Trials. Outside of wushu, Jon is a computer science student at the University of Saskatchewan.